Jeremy Clarkson has seen rather more of the world than most. He has, as they say, been around a bit. And as a result, he's got one or two things to tell us about how it all works; and being Jeremy Clarkson he's not about to voice them quietly, humbly and without great dollops of humour. Less a manifesto for living and more a road map to modern life, The World According to Clarkson is the funniest book you'll read this year. Don't leave home without it. 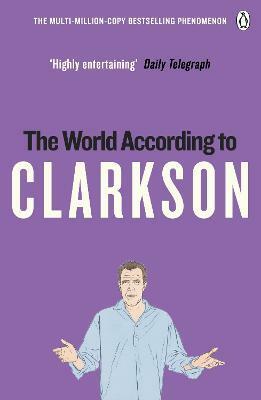 'The World According to Clarkson is a hilarious collection of Jeremy's Sunday Times columns and the first in his The World According to Clarkson series which also includes And Another Thing; For Crying Out Loud! and How Hard Can It Be?